We are working to get this wine in the US. Let me know your location and we will try to get it in your area ASAP. 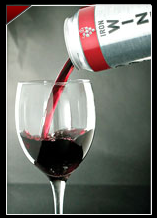 By the way, the aluminum can has no effect over the taste of the wine. Anyways, you;ll have to try it yourself.